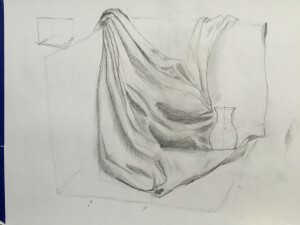 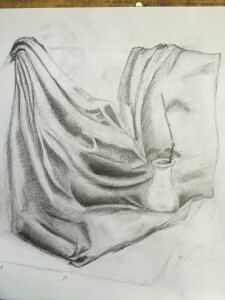 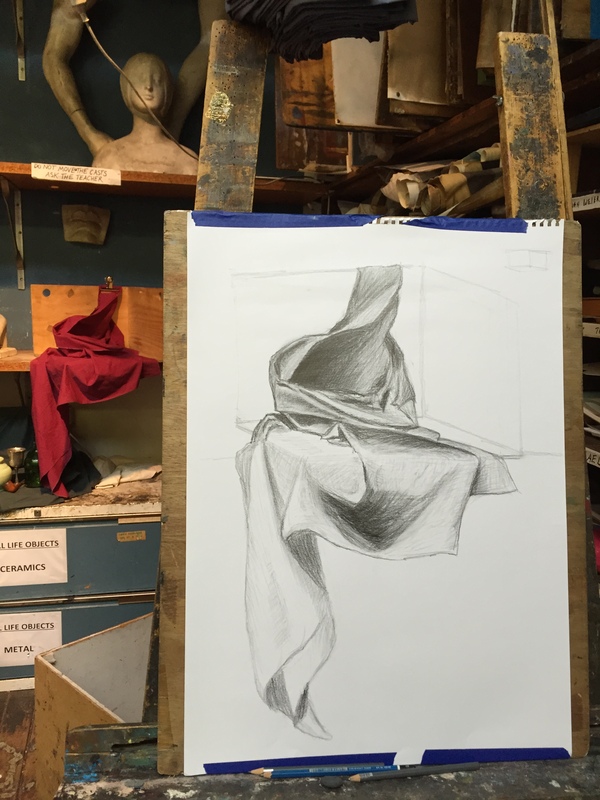 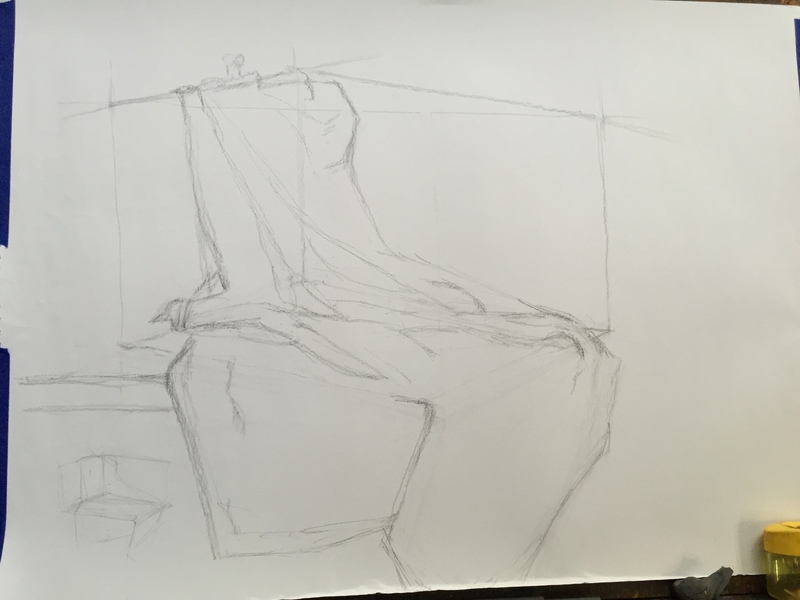 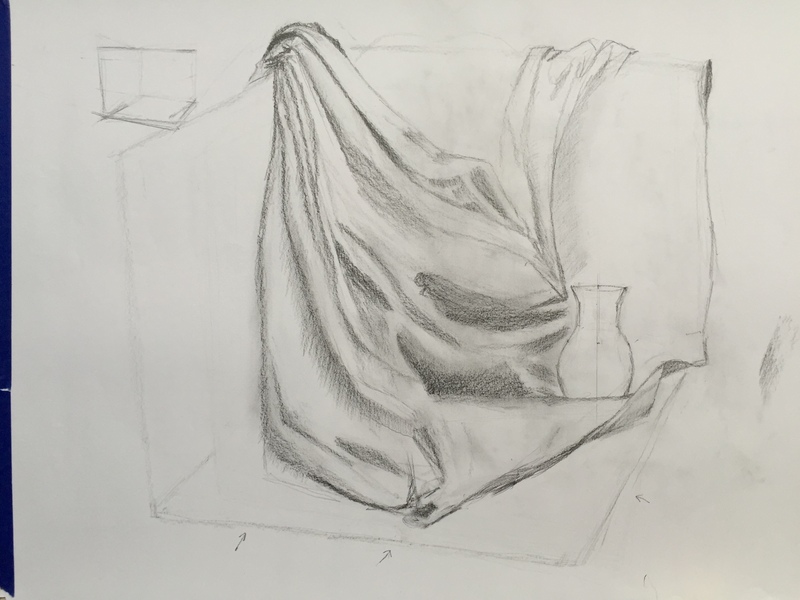 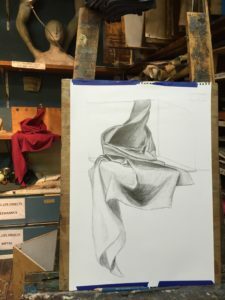 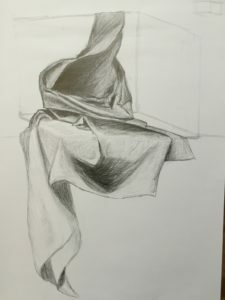 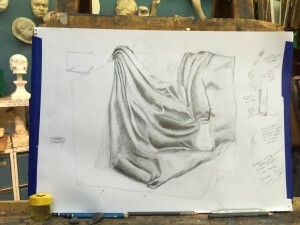 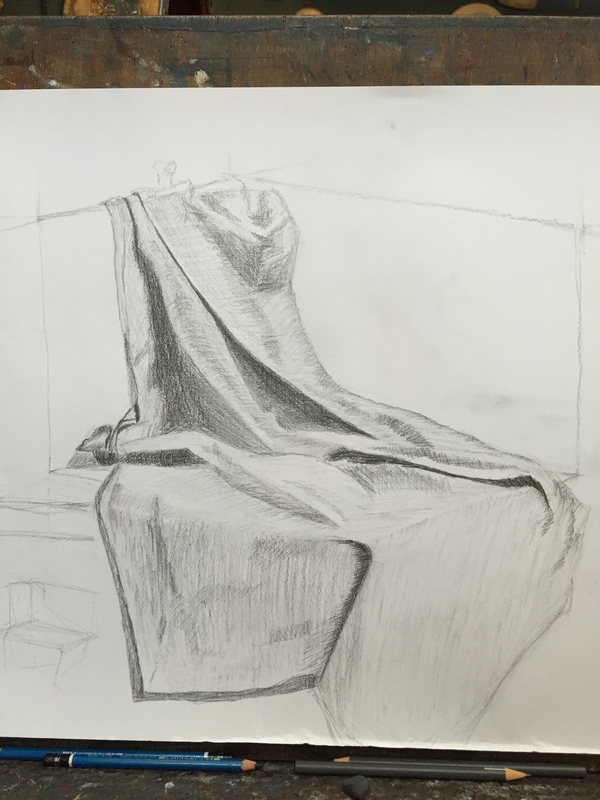 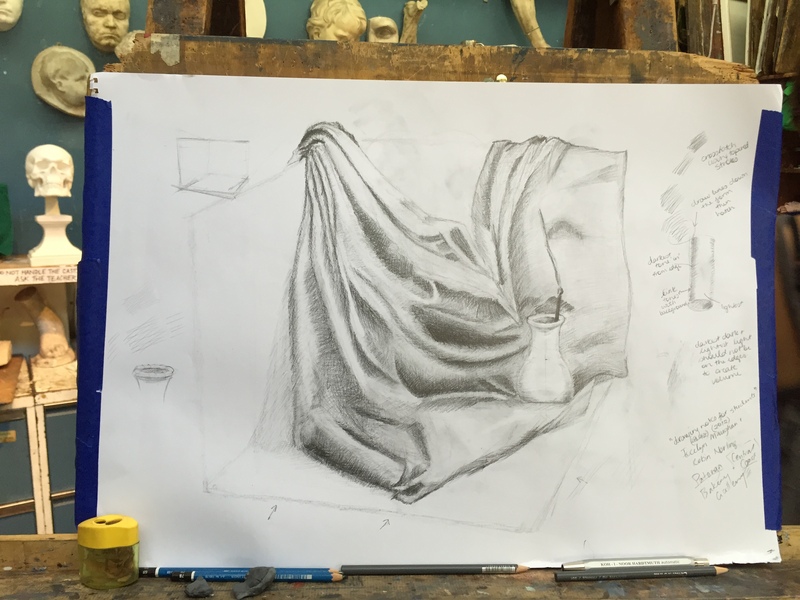 today’s drapery study/drawing. 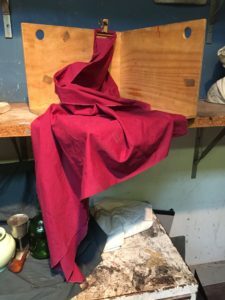 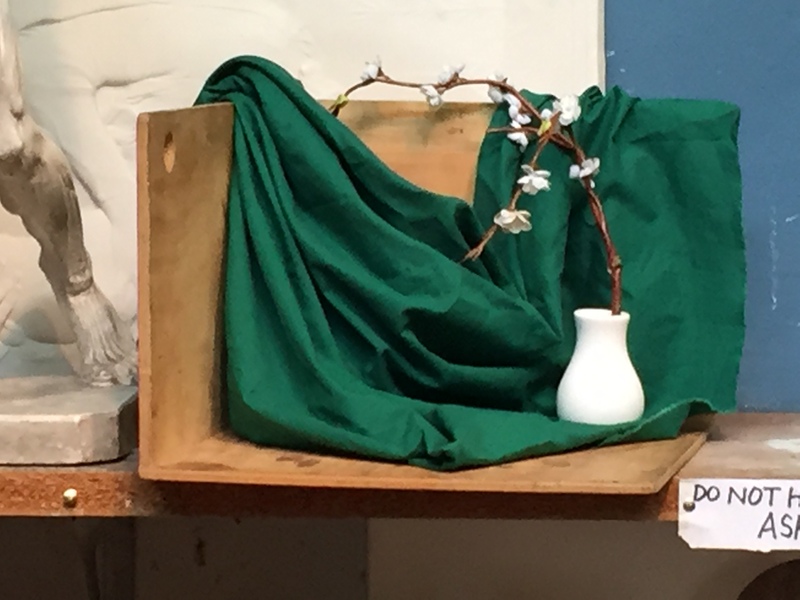 I’m happy with how the fabric drapes over the edge of the box. 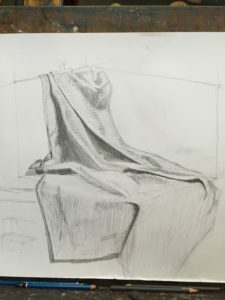 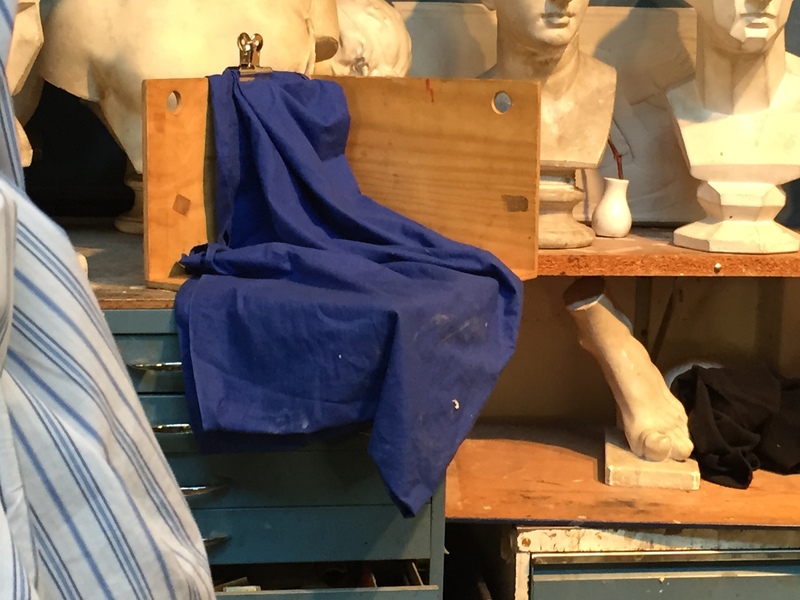 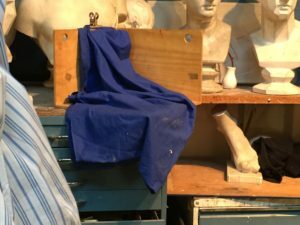 though now I see the photo I can see parts in the middle & top that don’t match reality & the tones are bit out but hopefully they still have the feel of draping fabric. 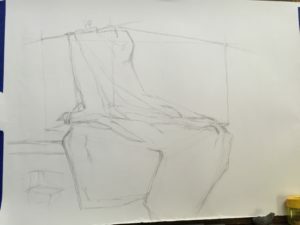 back to painting next week.